A complete description of the Brownian motion of a charged particle in crossed external electrostatic and magnetostatic fields when driven by an exponentially-correlated noise was derived. The mean motion and transport parameters were obtained by converting the corresponding generalized Langevin equation (GLE) into a deterministic equation via statistical averaging and method of velocity autocorrelation functions (VAFs). Transient oscillations both due to the memory kernel and magnetic interactions were observed in the particle transport before converging to steady state limits, which were consistent with previous analyses. The transport dynamics of the particle were observed in various limits, such as when no fields or only the magnetic field is present in the system. M. F. Bartolome and J. P. Esguerra. 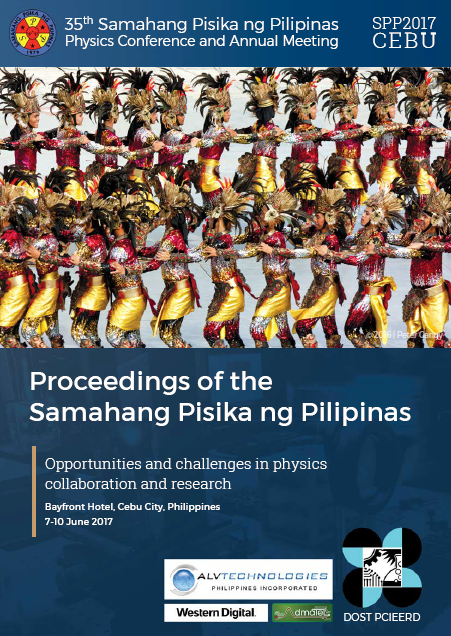 Brownian motion of a charged particle driven by colored noise in crossed external electric and magnetic field, Proceedings of the Samahang Pisika ng Pilipinas 35, SPP-2017-PB-26 (2017). URL: https://paperview.spp-online.org/proceedings/article/view/131.